Being in Europe has facilitated an annual family visit in Asia for my parents and I, as flights are extremely straightforward for me and the time of year usually works out with our schedules. This year, though, the meeting place was Singapore instead of China. Singapore’s A350 configuration put my window seat too far forward for me to be able to see the ground below and too far rearward to compose flattering shots of the A350’s graceful wing, but this wasn’t nearly enough to dampen the joy of flying with Singapore Airlines again. I enjoy flying to Asia from Europe as it gives me enough time for a movie, good rest, and time to talk to the flight attendants about their experiences with the plane. They were generally content with the A350, with the few complaints mostly about the lack of a mid-galley. 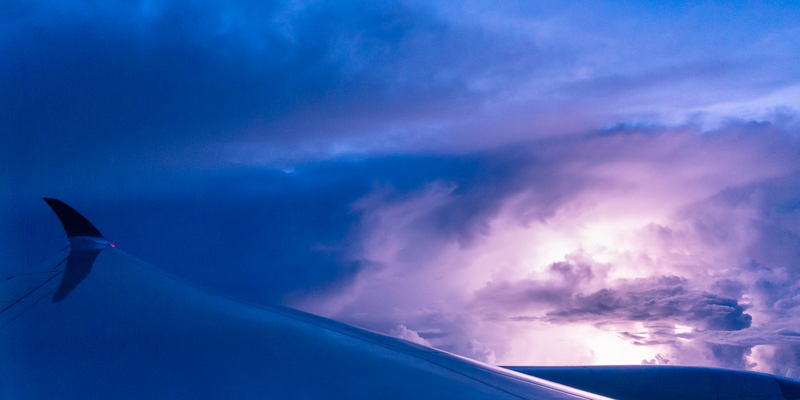 As I awoke, we were flying past a storm to the northeast. I snapped some shots of lightning, mostly appearing as a white orb behind the clouds but enough to flash the drowsiness from my eyes. 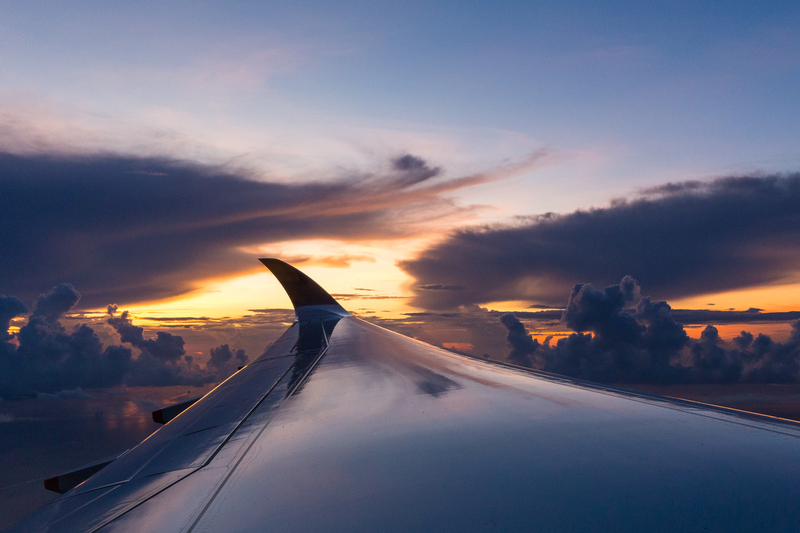 As we continued our descent into Changi, the skies brightened to warm yellows and oranges, complementing the hearty breakfast that’s a far cry from the croissant and orange juice offered on most Western carriers. Work the past month had depleted my reserves more than I had thought, so despite the long nap on the plane I was still exhausted the day I landed. 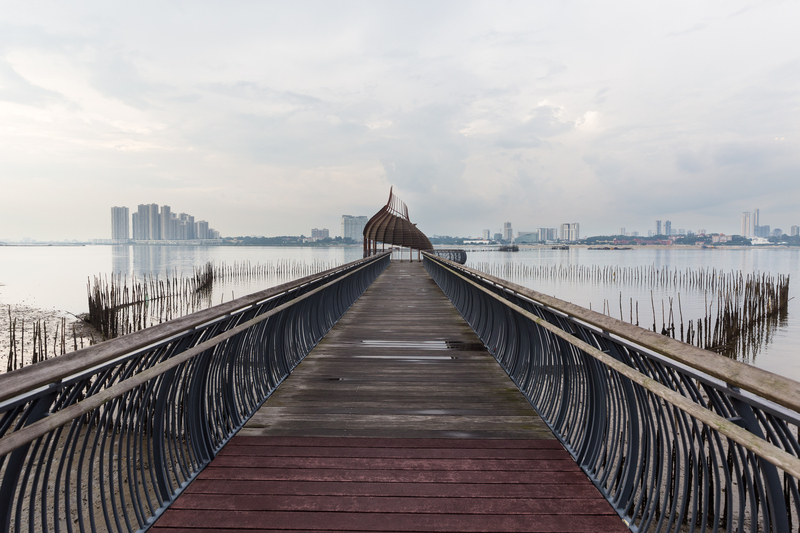 After dozing in the hotel room for a good part of the afternoon and an even longer discussion with the tourist office to get a grip on what would be open before night fell, I ended up at Sungei Buloh Wetland Reserve in the late afternoon. It must have rained during the day, not surprising for Singapore; the afternoon temperature and humidity was actually tolerable, and drops of water still dripped from the plants at the entrance. Although this was my fourth trip to Singapore, I hadn’t explored a good amount of the island. Indeed, this was my first time to Sungei Buloh and also my first time in northern Singapore (Pulau Ubin excepted). It never occurred to me that Malaysia was so close. 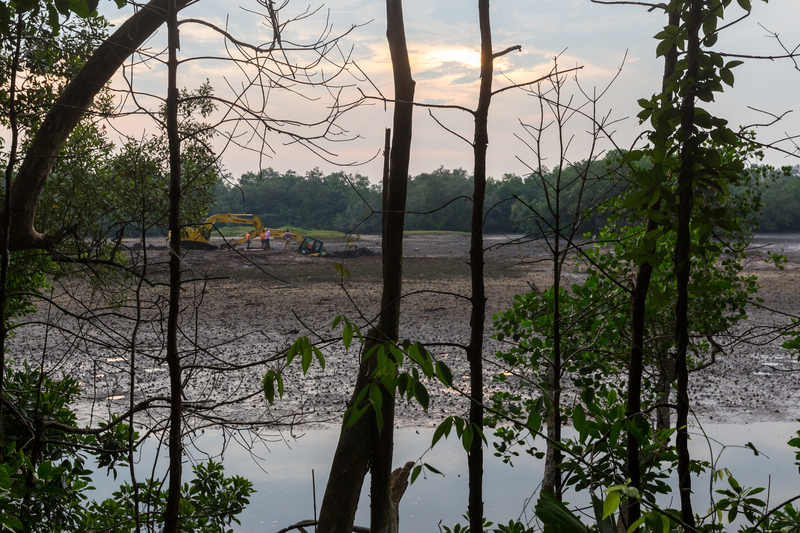 Despite the park being officially open, I felt like I had the entire wetlands to myself for much of my walk, only coming across a construction crew whose excavator was stuck in the mud beyond the boardwalk and the trees. As I was leaving the park, I ran into a couple, the boyfriend from the USA and the girlfriend from the Netherlands. It turns out the guy and I actually went to the same university and even graduated the same year. I didn’t know him then, but it’s intriguing how small the world has become. This probably could have been an Instagram-able moment for the university’s PR department, but we said our goodbyes and headed back to whatever reasons brought us to a remote island halfway across the world. The sun set without any spectacular colors, dropping behind the trees and leaving behind the cawing of birds and cacophony of insects in the darkness. 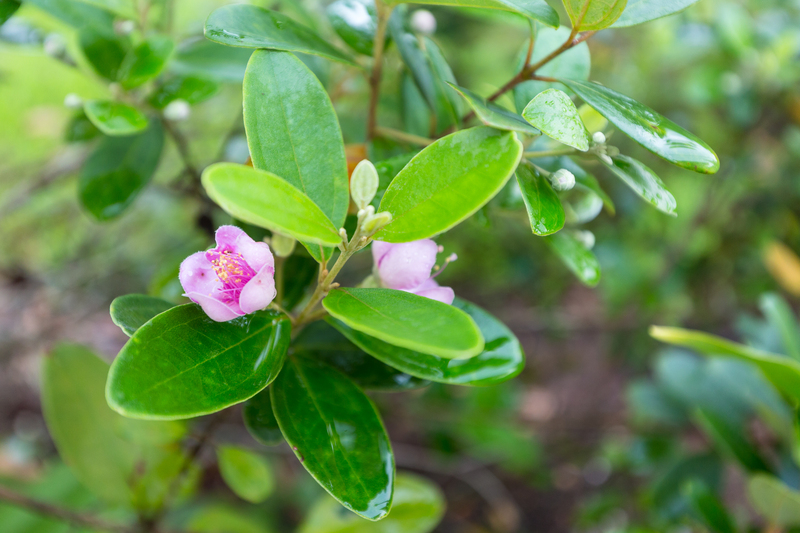 In this sense especially, Singapore never ceases to impress: this place used to be a jungle (an island jungle, no less), and somehow someone decided it’d be a good place to establish a colony. 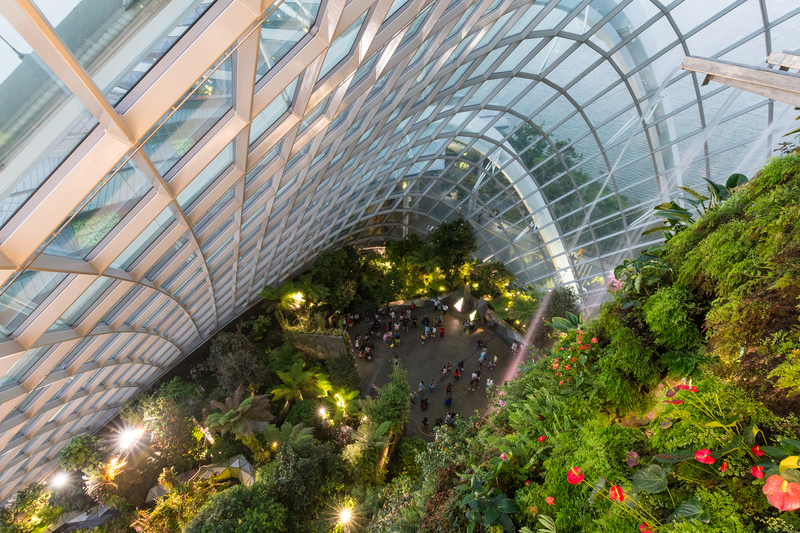 If a jungle can become sustainably populated and modernized simply at the wish of a government, how many remaining societal problems can truly be difficult? 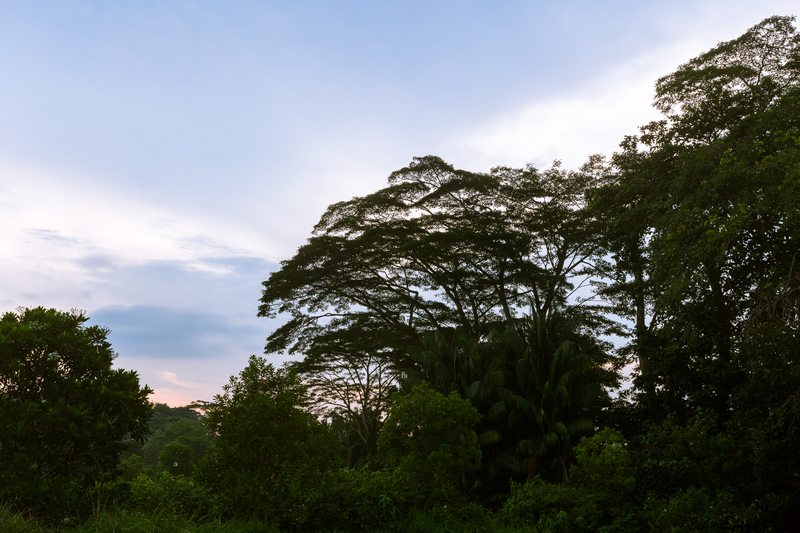 What’s perhaps especially commendable in the midst of all of Singapore’s development is that it’s done so with a keen eye on preserving the nature. 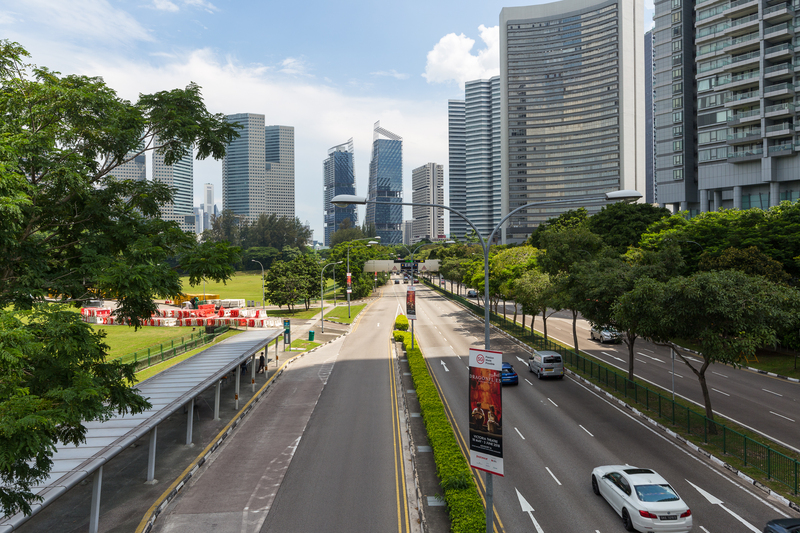 The Central Business District might be an exception, but roads from the airport in the east to Orchard Road in central Singapore is lined with trees, making the place feel less like a concrete jungle than other Asian metropolises. But greenery is literally superficial. It’s begun to occur to me that if I want to get to know Singapore beyond touristic rituals, it’s going to take living there to really get to see the city from the inside out. 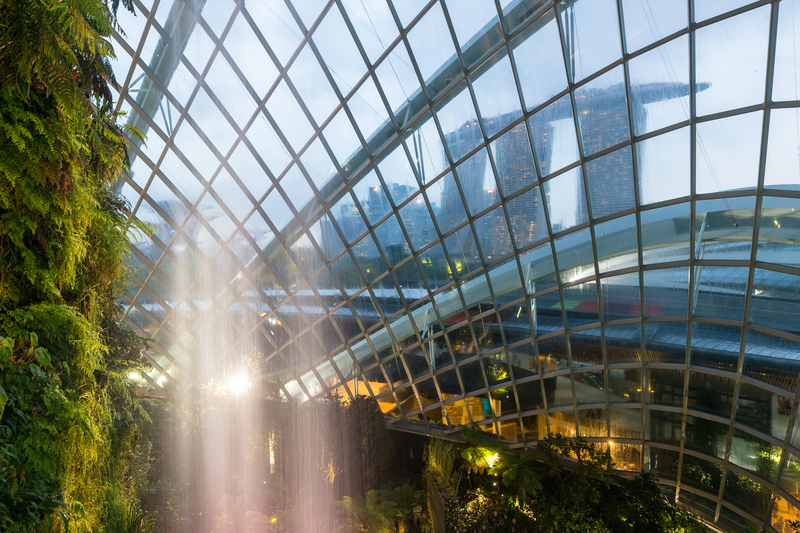 That Singapore seems to have found success in living out the concept of a “Garden City” isn’t to say, however, that Singaporean’s non-natural structures are any less remarkable than those in other modern cities. I find myself shaking my head in awe at Marina Bay Sands whether I’m inside looking through or outside looking up. 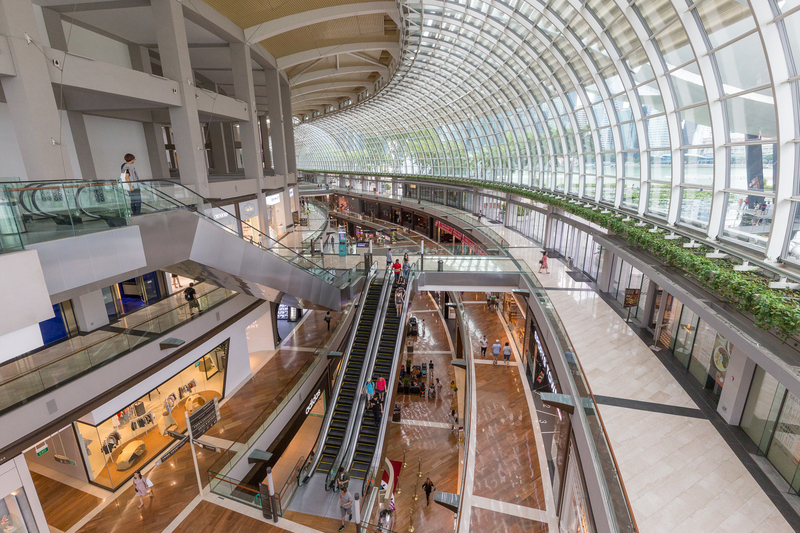 The building is not the reason (and not really even a reason, I’d argue) that I come to Singapore, but it is nevertheless an architectural and engineering accomplishment. 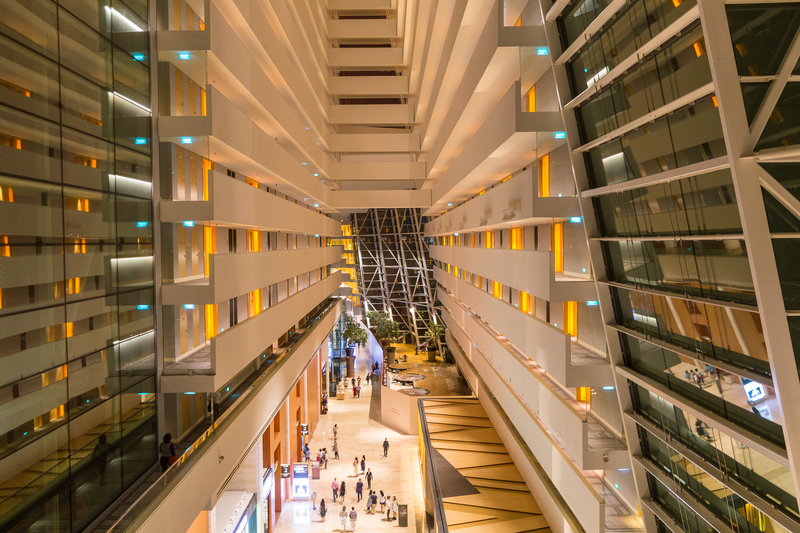 Although Chicago’s Cloud Gate might draw more attention on a tourist-per-square foot basis, it’s hard to ignore the airy atrium of the MBS hotel or the curvy elegance of its Shoppes. Unlike previous trips to Singapore, where I was largely able to luck out with a complete lack of rain, we met frequent rainstorms this trip. One approached as we circumnavigated Marina Bay, but it brought no cooling rain until later that evening. looking across a waterfall to the Marina Bay Sands complex across Sheares Avenue, which, not far from Marina Bay, turns into the also very green East Coast Parkway that leads to the airport. I noticed then that it was raining outside, with water streaming down the windows seemingly faster than the water thundering down next to me. We got to watch the outdoor light show at Gardens by the Bay just as the rain passed, choosing that show timing so that we could see the Marina Bay’s daily light show. 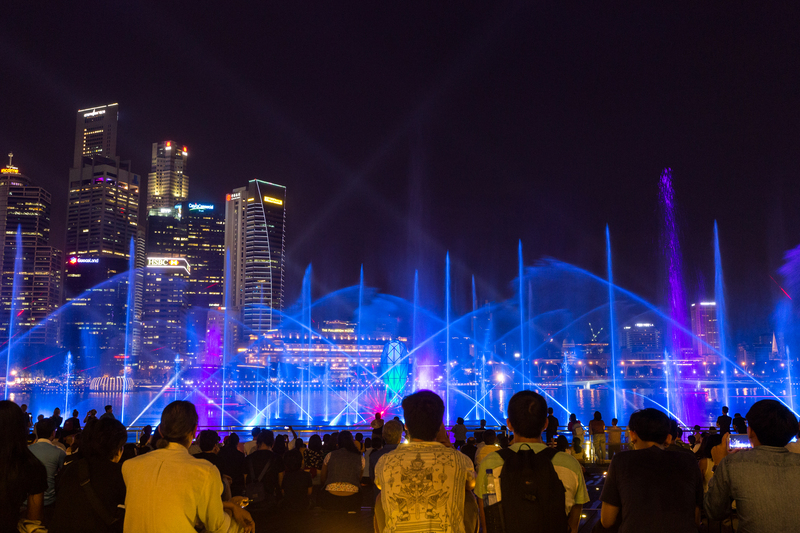 I think I was more impressed at the water and light spectacle a couple years ago when I stumbled across it by coincidence, but that it still goes on night after night makes me wonder how much such a production costs. 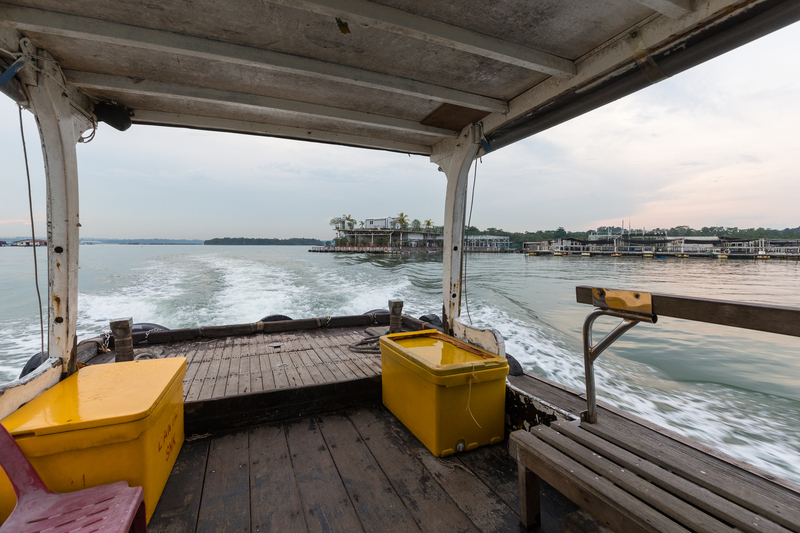 With the ritz and glitz behind us, our next day was supposed to be a visit to Pulau Ubin. With rain predicted and then falling the whole day, we spent the day wandering around Orchard Road, taking a long lunch at Din Tai Fung as raindrops began to fall. I read about a kelong while planning our itinerary for the trip, and a long bus ride and short bumboat ride later we ended up at Smith Marine. The interior isn’t made of beautiful marble — this is a floating restaurant, after all — but the food was decent. We even got to catch our own fish! Palm trees on the non-public top deck were an amusing touch. 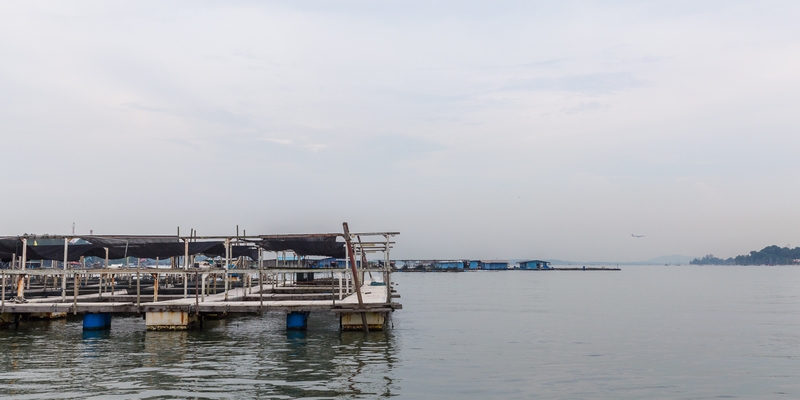 From the restaurant, we had views of Pulau Ubin and of the approach to Changi. It was curiously dry the whole time we were there. When I asked the owner if it had rained at all, she was pretty adamant at least on her kelong it stayed dry. Maybe Palau Ubin would have been a good decision after all. After my parents headed to the airport, I had the rest of the last day to wander around town. I decided to visit museums and stay indoors despite rather mild temperatures, mostly because I still had so many questions about life in Singapore and also because I had no access to a shower before my flight that evening. I figured it’d probably be best if I didn’t sweat the entire day. My first stop was the HDB Gallery, which turned out to be somewhat fruitless as it was under renovation during my visit. (So, too, was the City Gallery — I’m very curious to see what exhibits it will have when it reopens, however.) Singapore’s Housing Development Board was the agency primarily responsible for solving Singapore’s housing crisis in the 1960s, and to this day most Singaporeans still live in HDB housing. 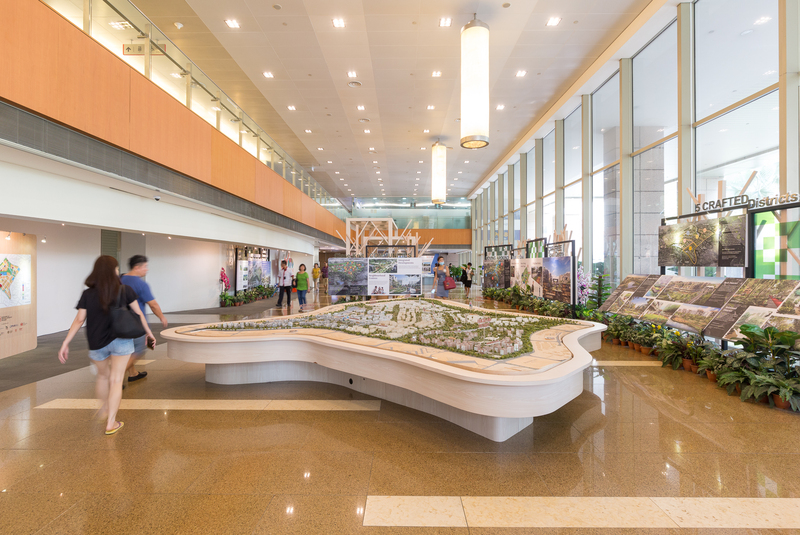 With the gallery closed, I walked around the lobby of the HDB, stopping from time to time to look at the various new planned communities around Singapore. I eventually came to a waiting area that didn’t allow photography. On multiple TV screens around the room were lists and lists of all new HDB properties available for lease. 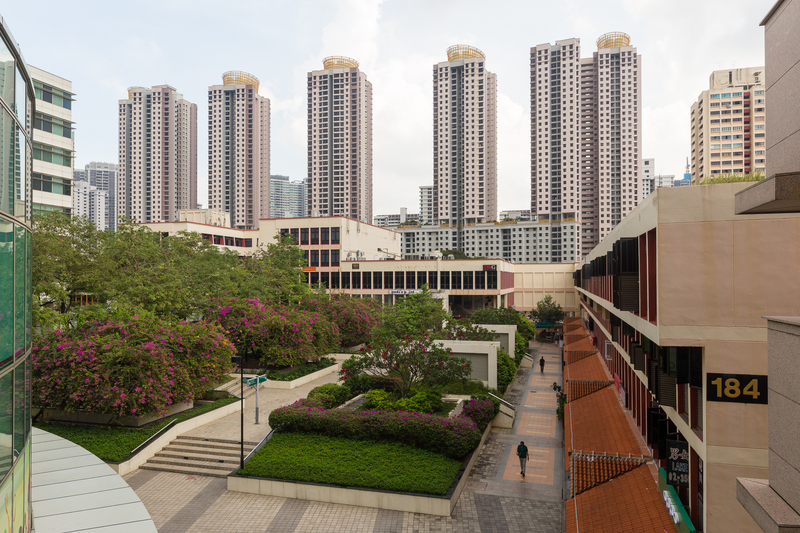 It was nothing like what I had even seen before: as capitalistic as Singapore might seem to a Western tourist, the reach of the HDB is hard to fathom as being quite shamelessly socialistic. Across the street from the HDB building is the HDB Hub, in which a showroom — awkwardly named the “My Nice Home Gallery” in a rare moment of questionable word choice in Singapore — showed multiple floorplans for HDB flats, complete with virtual configurators for those layouts and staff to help pick out the best option for any family. It’s not particularly easy to try to talk to potential homebuyers about what they think of the largest (only?) non-private homebuilder, or otherwise I would have liked to have stopped to learn more about the process. Between the HDB building and its Hub, a walkway gave direct views to Block 79 of Toa Payoh: not surprisingly, an HDB property. 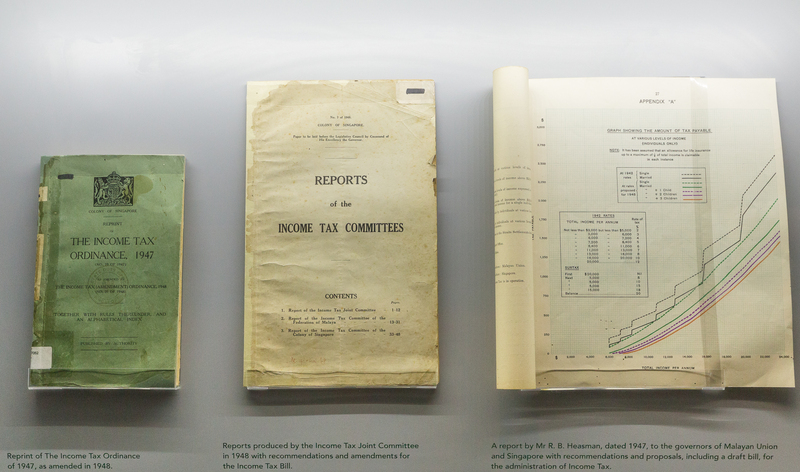 There wasn’t much to be gleaned about the challenges and process of buying a home in Singapore so I moved on to my next museum, this time taking on the light topic of taxation in the IRAS Gallery. 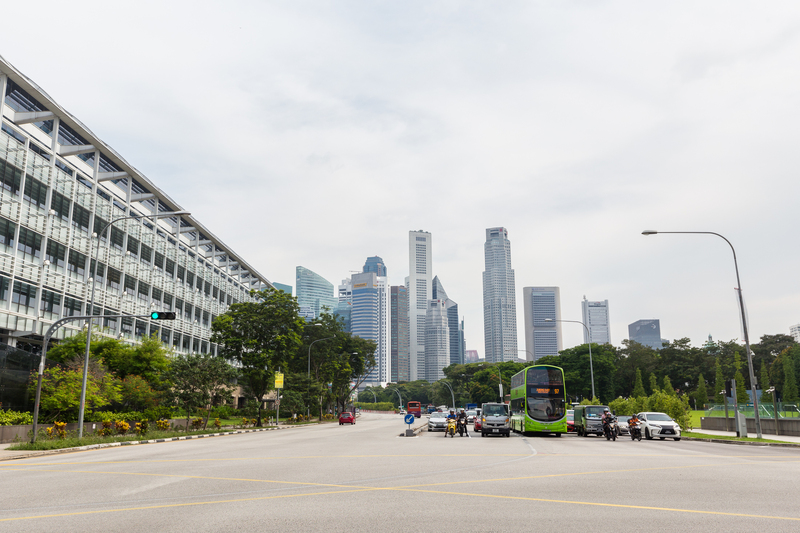 Located in a small corner of Singapore’s revenue agency, IRAS (Inland Revenue Authority of Singapore), graphs and letters in the many cases almost proudly described the increase in taxation revenue as well as justification for Singapore’s VAT. I’ve never heard of an IRS museum or similar in the USA, but I can’t imagine a message about the benefits of taxation going over well there. Behind the glass walls of the gallery was an incessant hubbub of taxpayer questions and discussions. I’m not sure if they had ever seen the information in the Gallery, and I’m not sure if they’d agree with it, either. The heat started to swell during lunch at the Newton Food Centre, so I headed to the Singapore Art Museum, my last stop of the day, and perhaps no longer surprisingly, also under renovation. The annex of the museum, SAM at 8Q, was still open during the construction, so I ducked out of the heat and took the afternoon to explore the four floors of contemporary art. 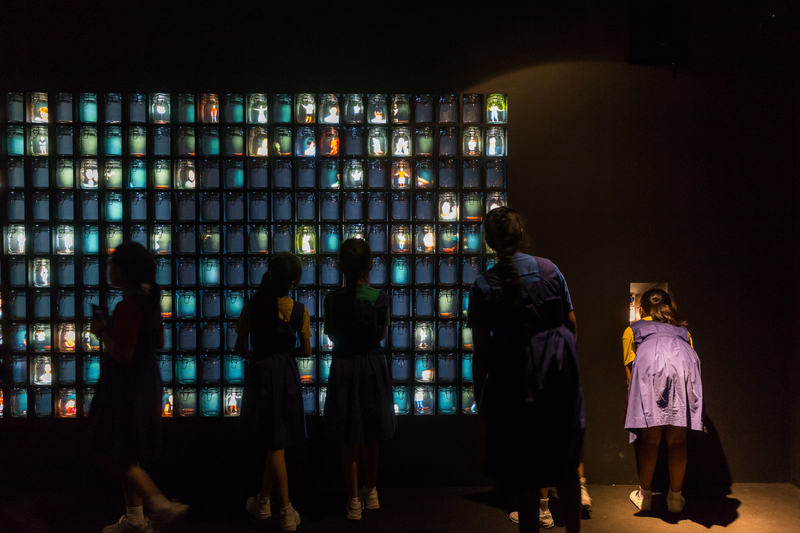 A group of schoolchildren stared at Stéphane Masson’s Momentarium, which explores the motif of time in the videos we take. 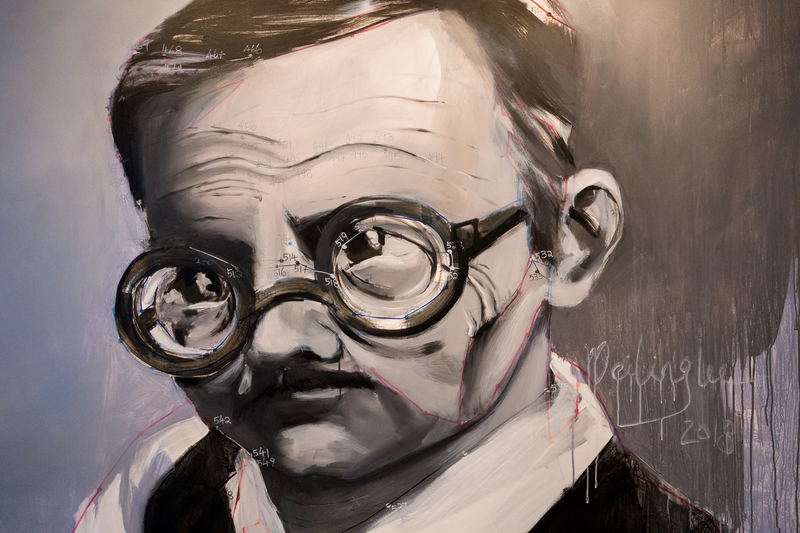 Three of Lee Mei Ling’s Connect-the-Dots series hung in another room, showing the childhood joys of connecting dots to form a portrait but at the same time aging the subject of the portrait as more dots are added. 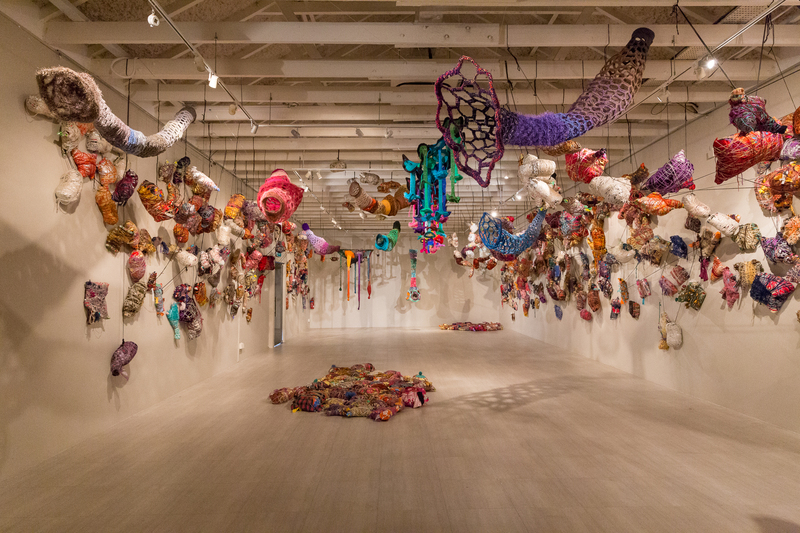 The SAM annex might have been a rather small space for a modern art museum (especially compared to the Tate Modern), but it did not lack for provoking works. 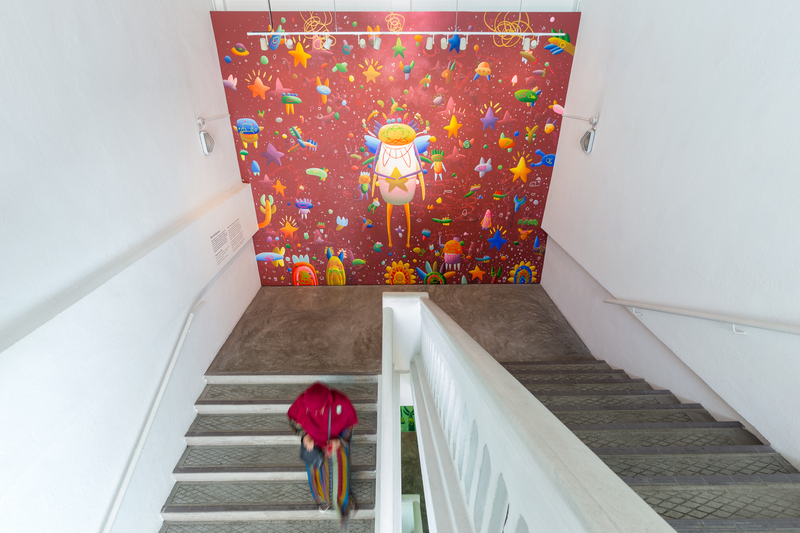 There was a small theatre for showing short films, of which my favorite may have been The Girl and the Cat, and Lee Xin Li’s four-wall spanning mural welcomed visitors at the entrance of the museum. 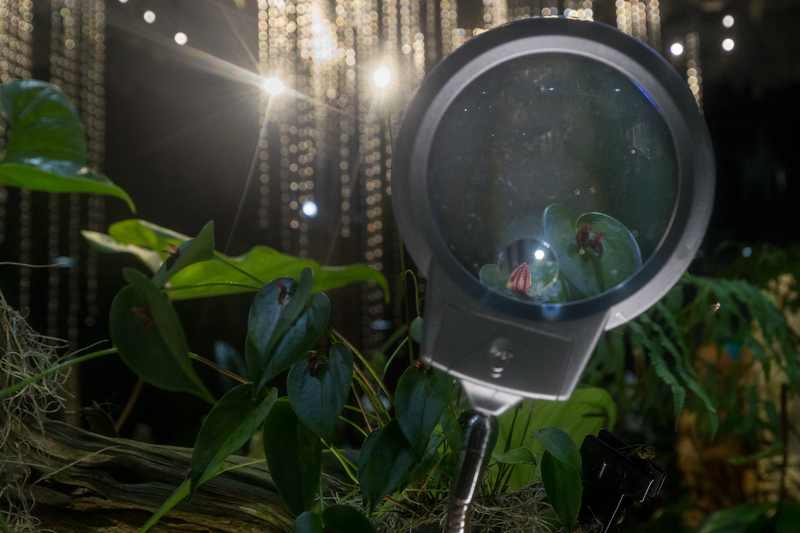 The artists Ged and Aze teamed up for their work Passage, meant to evoke childhood memories through familiar objects but demonstrate how a specific path through the universe of sensations and things might land someone on a different path than the one originally chosen. After a few hours at the museum, I needed to start making my way back to the hotel to collect my suitcase and begin the trip to the airport. Despite not having learned nearly enough as I had wanted about the Singapore that tourists don’t see, I again could depart at least with sufficient mental stimulation. 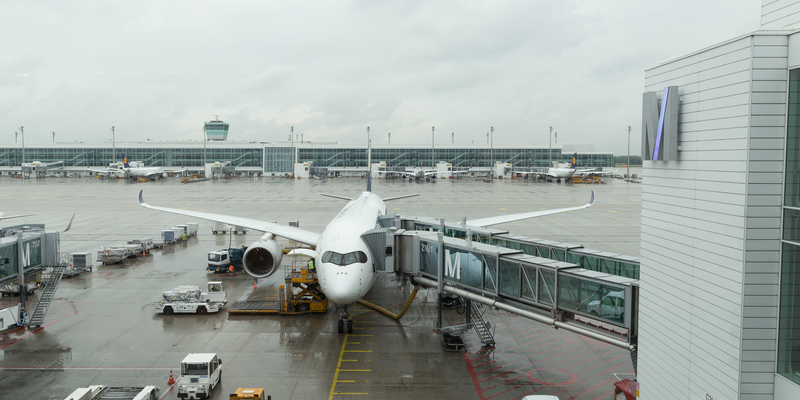 The weather held up the rest of the afternoon, staying dry even as I boarded the A350 on my flight back to Munich. 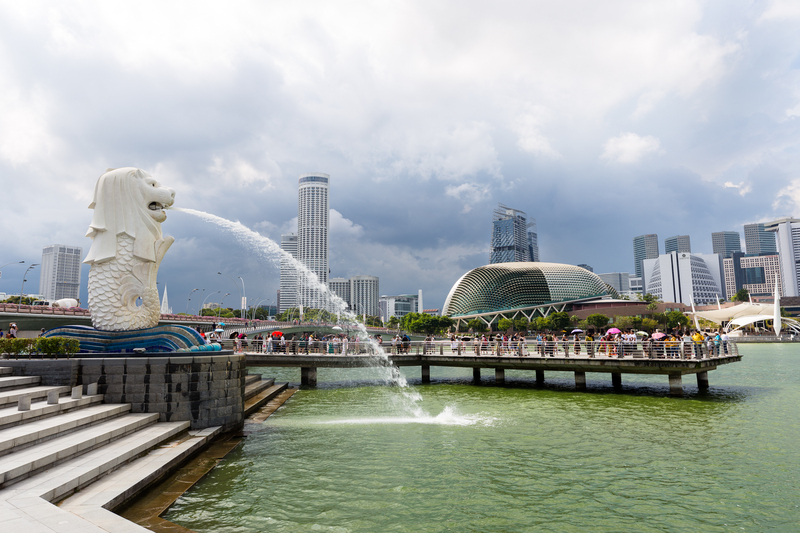 It was a curious experience visiting Singapore for a fourth time. One of the questions I asked after my first visit was whether a system that imposed so many rules and expectations was really a good one, and even after these trips I’m not sure I have the answer. I met a Singaporean while hiking in Switzerland underwhelmed by the bureaucracy and regulation of the administration; while the system worked to maintain a balance, it isn’t a system that tolerates much individuality or their freedoms. From this perspective, I left with questions still unanswered and some even unasked. Nevertheless, much as Singapore might appear to be a smoothly-running system at face value, I also terrifically enjoyed my trip: I got to meet my parents again, eat amazing food, see more of a culture I’m not often exposed to, explore art that’s just not abundant in the Allgäu. Extrapolating a bit, if a place can offer all this over the course of a weekend, while providing incredibly efficient public transportation and no worries of any sort of violence, has it been all that unsuccessful? And if the difference between living in a place and visiting it is so large, what does travel really teach us about where we’ve been?